Internships at the Worcester Art Museum require a 3 to 4 month time commitment. During this time, you will be responsible for assisting with a specific departmental project or projects that will allow you to learn across different areas of the Museum. A site supervisor will work with you to develop a project plan and provide mentorship and feedback on your work. All internships are unpaid. We are able to provide internships for credit if approved by your college or university. Our goal is to provide real-life museum experience in an educational environment. If applying by email all attachments must be in Microsoft Word format. A cover letter indicating the specific internship(s) or area of interest for which you are applying. A current resume or curriculum vitae (CV). Two references (personal or professional), including name, phone number and relationship. Please contact internships@worcesterart.org with questions or to request a general internship application. Purpose: Assist the Curator of Arms and Armor and Medieval Art with a variety of tasks while working with the Worcester Art Museum's national-level collection of early arms and armor. Students will acquire first-hand curatorial experience while working closely with museum professionals. The project(s) will be developed based on the museum's needs and the intern's skills and will result in a portfolio-quality product. Semester: Ongoing program, each internship lasts one semester (Fall, Spring, Summer). Fall semester applications are reviewed in August; Spring semester in December; Summer semester in March. Hours: Flexible, typically 8-10 hours per week for Fall and Spring semester, 20-30 for Summer. Schedule: Flexible, typically 1 to 2 weekdays between 10am-4pm for Fall and Spring semester. Purpose: Assist the Director of Curatorial Affairs and the Curatorial Assistant with a variety of administrative tasks relating to the curatorial department as a whole. 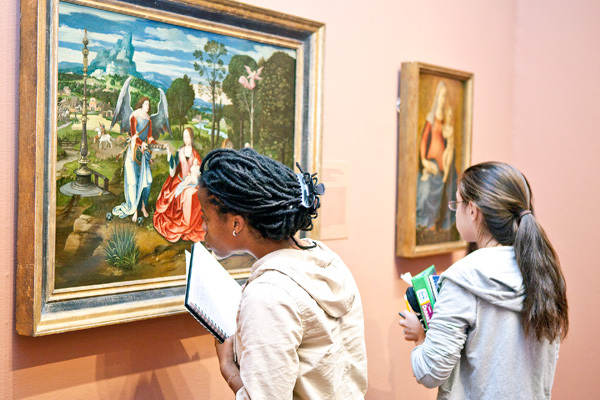 Students will acquire first-hand experience while working closely with museum professionals. This internship will involve a data entry project in TMS, the creation and maintenance of curatorial files, and work related to the museum’s social media accounts; it will be ideal for students with an interest in information management or the digital humanities. Semester: Summer or Fall. Please specify which semester is of interest in your application. Schedule: Flexible, typically 1 to 2 weekdays between 10am-4pm for the fall and spring semesters. Purpose: To assist with research, development, and production of reinstallation of the suite of Asian art galleries. Coursework in Asian art history and/or art preferred; graduate with coursework in relevant field preferred. Experience in visitor-oriented museum work preferred. Semester: Ongoing program, with flexible start and end dates.